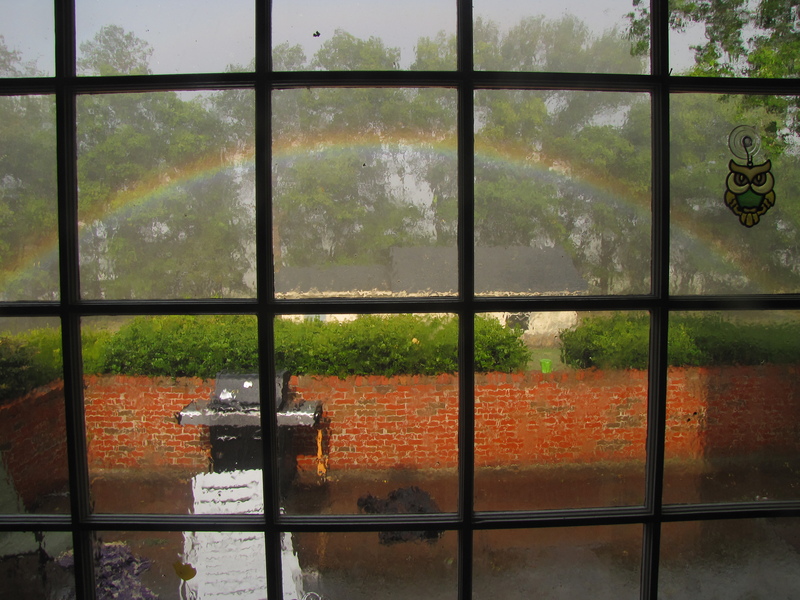 July 2012 – Teach. Brian. Teach. Considering Incorrect Answers: How students responded? In my summer physics class, I asked students the following question about motion online, in which they were asked to consider a wrong answer, explain why someone might think it, and then explain the incorrect answer away. Here is a physics problem! Imagine you are driving a car along a long straight. Your friend in the passenger seat is recording where you are every hour of the trip. Explain why your friend might reach the conclusion that the speed of the car at 3:00 PM was 24 miles/hour. Then explain why that answer is probably not correct. Because they divided 72 by 3 thinking that they had traveled 72 miles in three hours. If they confused 3:00 PM with 3 hours, they might be tempted to divide 72 by 3. If the car were traveling 24 miles per hour at 3 pm then from 2:00 pm until 3:00 pm they would have only traveled 24 miles leaving them at mile marker 44 instead of 72. If someone took the mile marker 72 and divided it by 3pm they would come to 24MPH however this would be assuming that the car had started at noon and had started at mile 0. however we do not know where the car started, only where it is now and where it was an hour ago. I don’t know why someone would think that they were moving at 24 mph at 3 pm, but the time is given in increments of an hour. So obtain how fas they are moving you would subtract the mile marker number from the number of the previous mile marker of the previous hour. From 2 pm to 3 pm the car traveled 52 miles within the hour , so the car was traveling 52 mph. I don’t know why someone would think the speed of the car is 24 miles per hour. If you look at the data it’s clear that they are traveling at 52 miles/hour. I’m curious: Which kinds of responses do you think are most productive? Which are the least? How could the task be re-written to encourage more of the productive kinds, and less of the unproductive kinds? OR What feedback would you give to students, or do in class the next day, as to encourage the more productive responses on later assignments? Sorry for the long title. OK, so I’m obsessed with mining the KA comments and questions for evidence of student thinking, questioning, engagement, and interaction. Who cares about the videos. Seriously. You don’t even need to watch them. This seems like a wonderful question to ask: Why would we need two ways to think about speed? I don’t understand the premise for needing two approaches. Isn’t it 5 km/hr either way? #2 Just think about it like this, and worry about how to make sense of it later. #3 The question asked for something specific and you should learn to give correct specific answers to questions asked. #5 In order to answer questions correctly, you need to know the vocabulary words associated with question. Those vocabulary words are best defined in terms of other vocabulary words. One way of looking at KA is to analyze the content presented. Another way is to look at the activities that occur around and are stimulated by that content. From this perspective, it also looks like more of the same. What do you think? 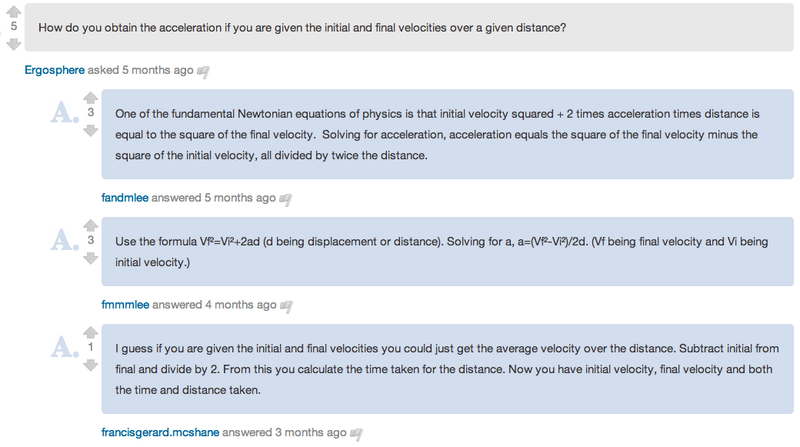 I have recently been browsing user questions to Khan Academy Videos, because they are pretty interesting. 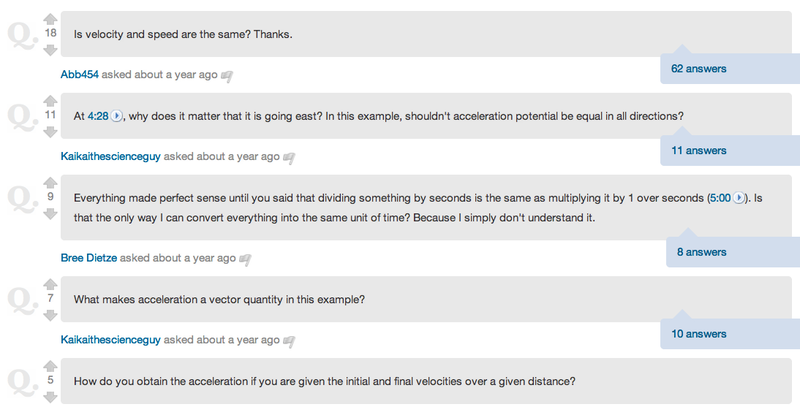 For example, here are some student questions from his video on acceleration. With these questions, users can vote the question up and down, such that the question “importance” is crowd-sourced. So where does this fall short? One reason this falls short is because the bottom question would be (to me) the most generative, interesting, and significant question for my students to pursue. That’s not to say that the other questions aren’t important. Understanding vectors vs. scalars and understanding why division can be thought of as multiplying by inverse are both relevant questions, but those questions are probably not going to lead to interesting pursuits. In contrast, the question of how to find acceleration with distance information is a real puzzle–one that requires some real digging into. The question about velocity and speed are likely the result of that vocabulary being introduced, with “pat” answers that aren’t very meaningful. Part of the job of me as teacher is see the significance and generativity of my student questions: Does this question concern significant disciplinary ideas? Does it represent a significant difficulty or misunderstanding from which we can learn? Will this question lead to meaningful inquiries? For those purposes, not all questions are equally good and students don’t necessarily have the perspective and expertise to discern the difference. Users can also post answers to questions. Like questions, those answers can moved up or down in importance as users vote on best answers. To follow up on our question, here are three answers to the question about how to find acceleration given distance information. Why does this fall short? Of these three responses, the one voted to the bottom is probably the best one–even if you don’t think it’s great, it’s still much better than the first two. The first two simply refer to using an equation and plugging away. The last one, although cursory in exposition, at least leverages the use of an important idea: average velocity. Additionally, students in physics are prone to “look for the equation” to use. Here we see that the users have simply vote up answers that fits their expectations about what a good answer should look like: It should provide you with the equation to use. Crowd-sourcing might then just be a way to reinforce such views. Anyway, I suppose I should just add that this isn’t an “attack” on KA. It’s just some thoughts about how teachers vs crowds prioritize questions and explanations for learners. In the car, while I was driving, my wife was finishing up the border of a quilt by hand. During the drive, I would keep asking how far along she was on finishing the border, which had four sides of equal length. She thinks about it for awhile, and says, yup. She thinks about that for a while and agrees. 5. Encourage children students to use sources outside the home classroom. And how could I let my children make mistakes and suffer failure when all they had to do was listen to me in the first place? You may be thinking, “What’s so terrible about helping children tie their shoelaces,or telling them how to resolve an argument,or seeing to it that they don’t make mistakes? After all children are younger and less experienced. They really are dependent on adults around them. What do you like? What you would add? An undergraduate student has been working on a research project on student understanding of the photoelectric effect. One of the challenges has been helping the undergraduate student to develop enough of a deep and meaningful understanding in order to navigate through an analysis of written data and interview data. It’s hard to understand others’ confusion when you are still working out your own. I am actually leaning toward making the student right up a section in his thesis about himself as a research subject, in which he discusses and analyzes some of the major misunderstandings that he’s had to work through. Anyway, here’s quick list of some observed difficulties that physics majors have had in making sense of photoelectric effect phenomena. #1 Associating speed of ejected photoelectrons with the measured electric current flowing in circuit; difficulty understanding how the current can only depend on the rate of photoelectrons emission (and not their rate of travel). Struggling to understand why the the standard equation describes the maximum kinetic energy of electrons. More posts to follow for sure once the thesis takes some more definite shape, but just wanted to get this down before I forget. 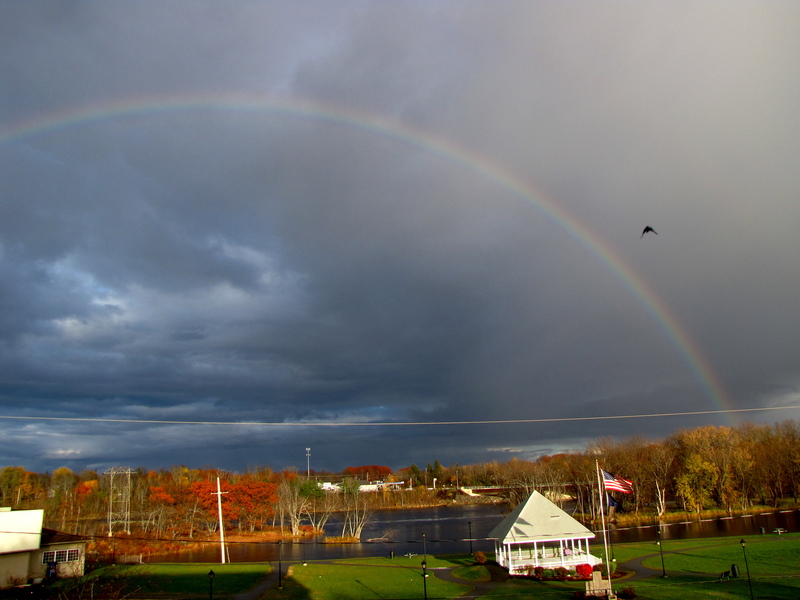 Physics and Perception–what makes a rainbow appear big or small? The instructor models how to work a problem based on the reading students did the night before (the reading was incentivized by use of reading quiz when students show up). Student groups are randomly assigned to do 1 of 4 possible problems. Students are expected to work on the problem collaboratively on whiteboard. Typically they are expected to show how they set-up the problem, but not show grueling detail of any algebra or math. Students are expected to stack their whiteboards at the front of the classroom. Then there is a class discussion or whiteboard meeting of some sort–my understanding is that, in implementation, the typical format of the discussion is the instructors picks one or two group to stand up and explain how they solved their problem. The course has been using this for a couple years now (not sure exactly how long). Over this time, there has been a uniform movement away from having whiteboard meetings / class discussion. All instructors still use whiteboards for problem-solving and see value in it, but there has been a fewer and fewer instructors do the discussion part. Some instructors still do the discussions, but even among them, the feeling is that the discussion are not useful and productive. #1 Professional Development Collectively, there has been little to no training, apprenticeship, feedback, or support in developing effective practices with structuring and facilitating whiteboard meetings. This is true for both faculty and undergraduate TAs, and more generally of all interactive engagement methods that instructors are expected or encouraged to use. This isn’t to say there has been no professional development in some cases. In most cases, however, no instructors have never even observed anyone else running a whiteboard meeting, not to even mention an effectively run one. #2 Substance of White-boarding Problems: The particular problems students are assigned to work on were not necessarily designed to support productive discussion; rather they were designed around chapter topics. They are also not necessarily designed based on physics education research or specific learning objectives; or, if they are, such design features are not clear to their users. Well-chosen problems can go a long way to helping promote useful discussion. #3 Values and Priorities: Explicit conversations about the value and importance of whiteboard meetings for student learning and classroom community are mostly absent in our department. With very real pressures for time that instructors face and their growing sense of the ineffectiveness of whiteboard discussion, whiteboard meetings become one of the first things instructors will stop doing. The reality is that it’s hard to persist in doing something if either the individuals involved (or the community at large) don’t value that thing. Instructors, I believe are doing what they see is best for their classrooms and students. #4 Classroom Constraints: Our classroom space is a large, wide-open space and there are 32 students spread out among that space. This makes white-boarding meetings difficult. Managing a classroom discussion with 32 students is different than managing a classroom discussion with 10, 15, or 20. In addition, the tables in the class are also not conducive for rearranging the space. Large rolling chairs make it difficult to find space where everyone could be a circle. Designing spaces that support particular kinds of social interactions can go a long way to promoting productive conversation. I would imagine that these constraints are common to many institutions, classrooms, and instructors. Understanding how these constraints operate on us and how we can change these constraints becomes really important. I can’t imagine significant movement toward developing effective classroom discussion with whiteboards without changes at all of these levels. What do you all think? * I should note that I am subject and influenced by these same constraints: An environment/community that doesn’t explicitly communicate the value of the practice. A classroom space that is not conducive to effective practice. Content that is not design to support the practice. And lack of professional development (specifically about what it means to engage in this practice at our institution in our courses). These pressure have driven me away from consistent use of effective classroom discussion with whiteboards. I write this post, because in the fall, I am re-commiting myself to making this work in my classroom.